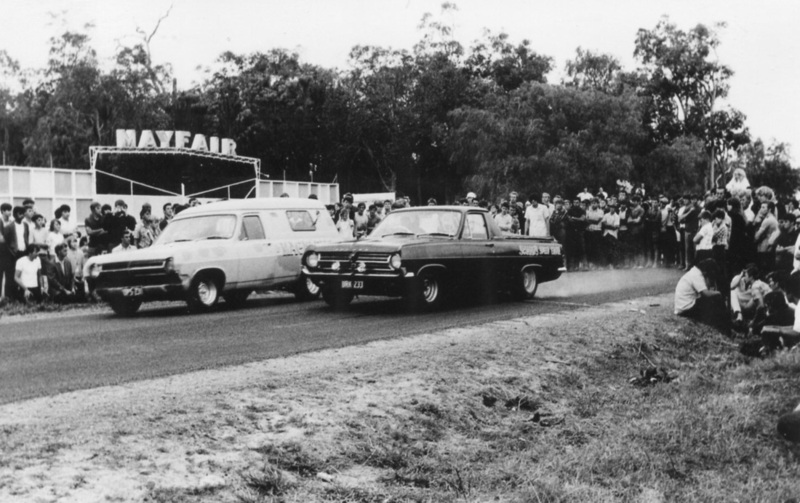 In 1967 Bunbury would hold its first orginised legal drag racing event along Blair Street, This event was for licienced vehicles only, this was the only time that Drag Racing would be held on Blair Street, The start line was opposite Cornwall Street at Jim Bakers Ampol Garage, after this meeting the racing would be held along Strickland Street. 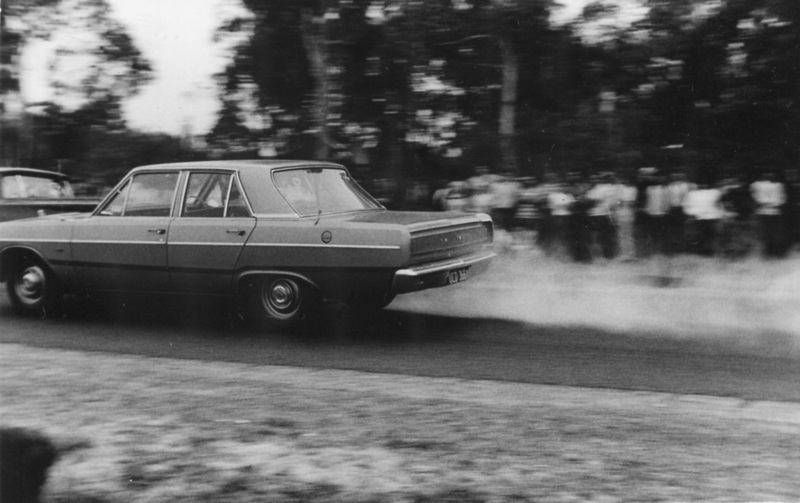 1967 - Photo: Geoff Pilgrim collection. 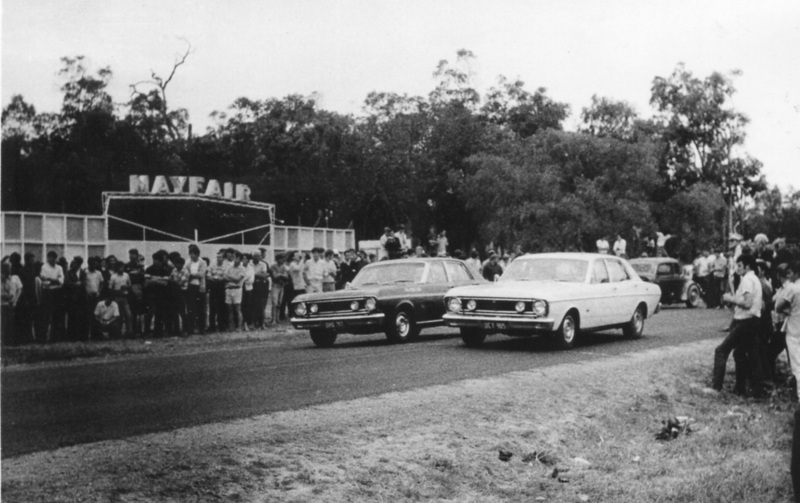 About 3 drag meetings were held on Strickland Street by the South West Club, The strip ran west to east along Strickland Street with the start line just passed Denning Road and the finish line about were King Road crosses Strickland. Denning Road was used as the pit area. 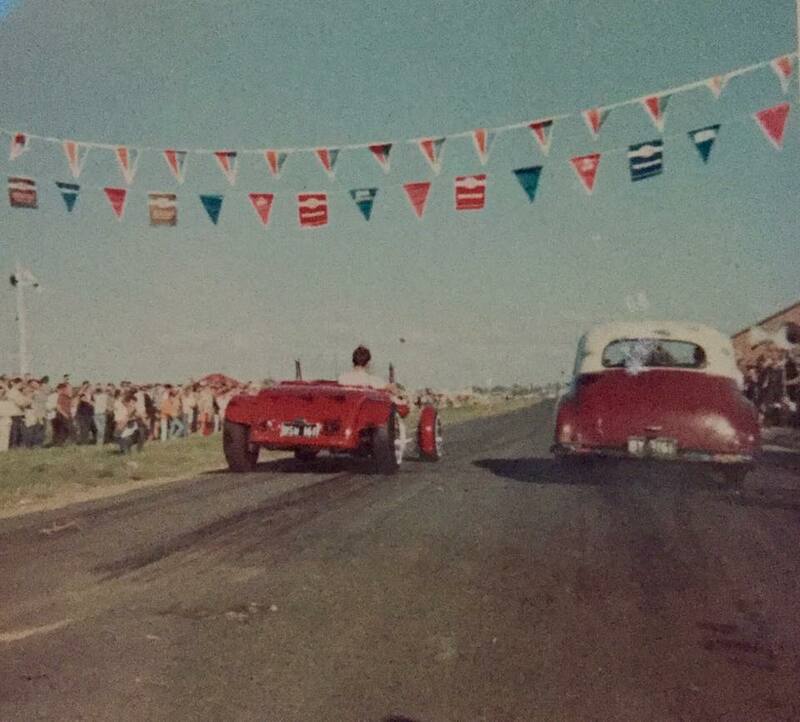 Ernie Hastie recalls: The Drag strip its self was ok but when you crossed the finish line at King Road, Strickland Street turned into a narrow limestone track, thats were we had to slow down. 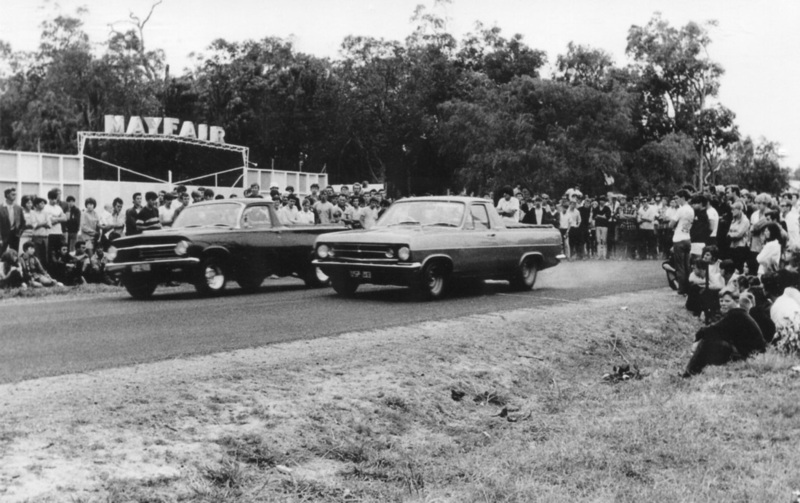 1968 would see drag racing move to the more isolated area of Glen Iris, the strip was along Vitoria Road heading from East to West, The start line was directly in front of the Mayfair Drive Inn and the finish line was out the front of the Ganfield home, Initially the pit area was along Jefferey Road but was shifted to the Mayfair Drive Inn after the first meeting, racing would continue at this location for a few years. 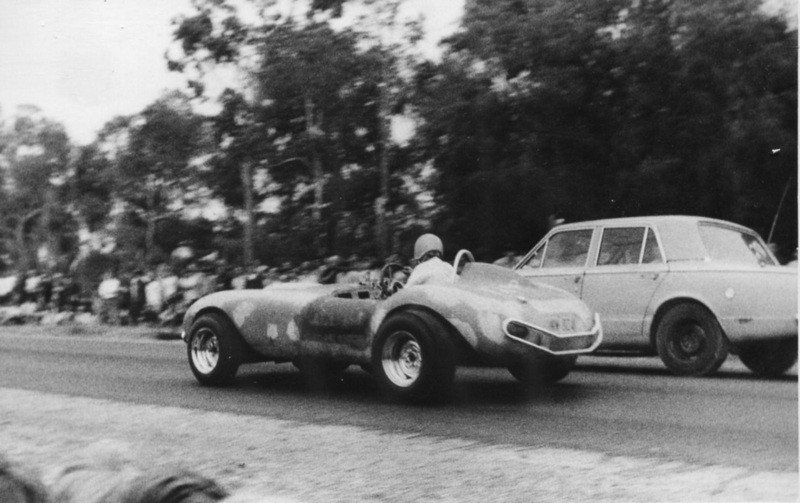 Mike Jenkins recalls: I remember the drag on Vitoria Road well, I was eighteen year old ﻿at the time, I recall going with my mate and taking some photos. 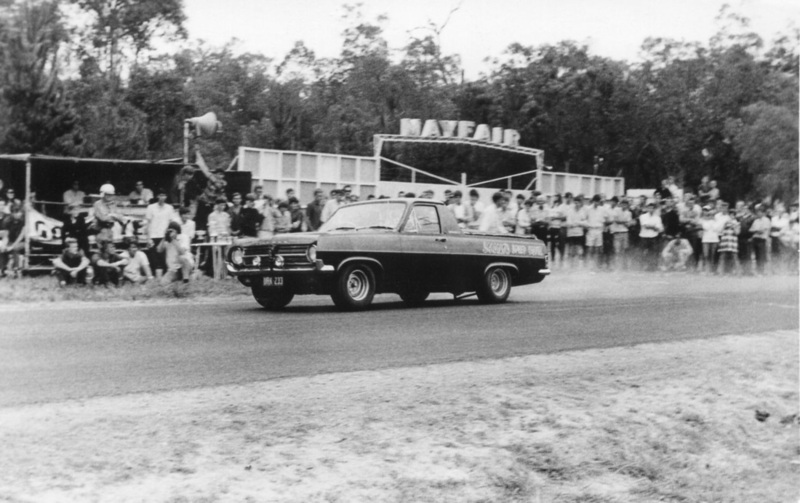 1968 - Peter "The Greek" Markopolis in his 427 Chevrolet powered HK Holden Monaro. Photo: Mike Jenkins. 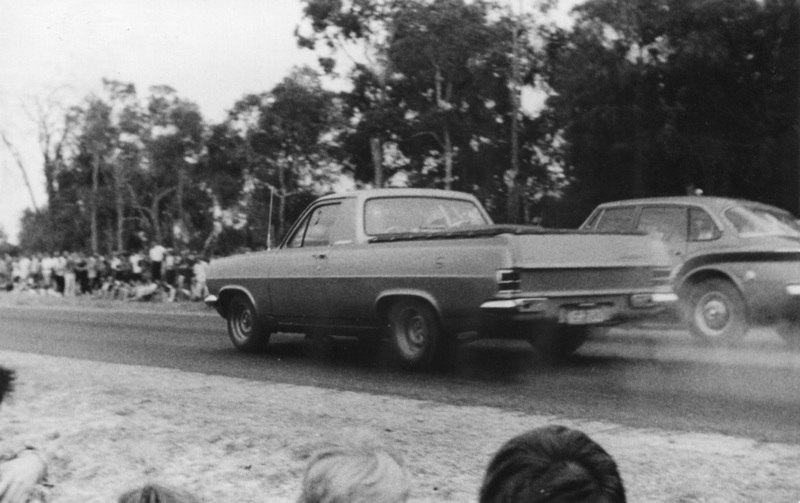 1968 - Ray Yukich in his HD Holden ute awaits the starters orders. Photo: Mike Jenkins. 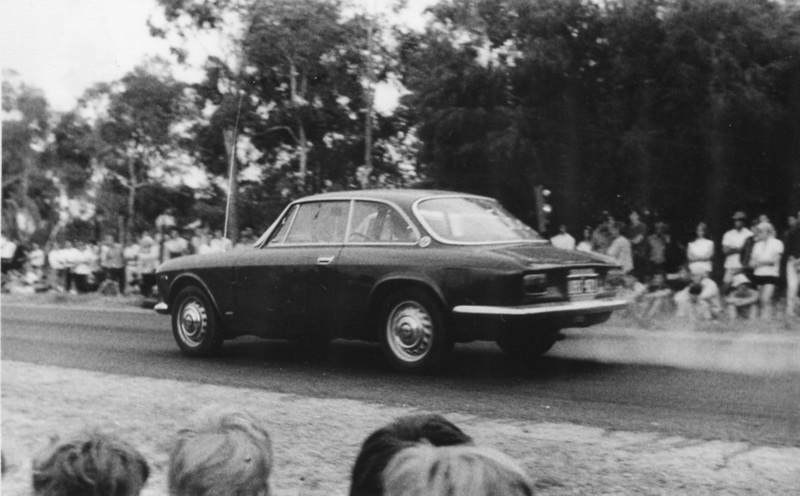 1968 - Peter "The Greek" Markopolis. 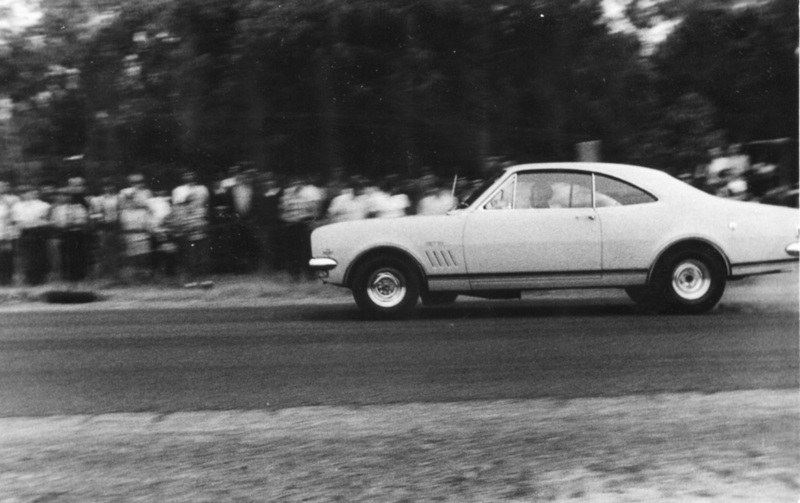 leaves the line in the 427 Chevrolet powered Monaro. Photo Mike Jenkins. 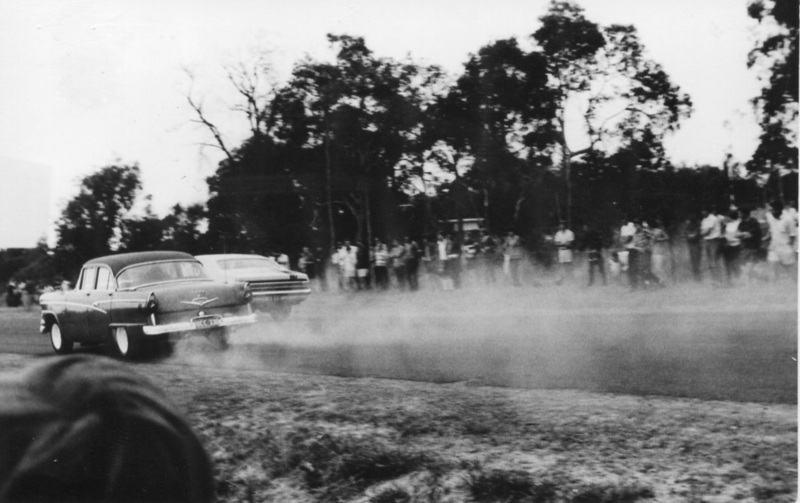 1968 - Ray Yukich gets the HR Holden ute down on the tramp bars as he leaves the line. Photo: Mike Jenkins. 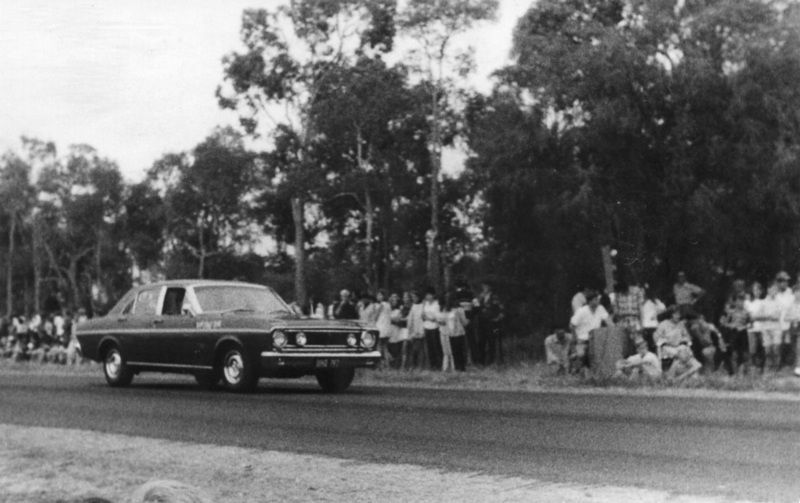 1968 - Geoff Pilgrim with his 318 Chrysler 48 SERIES ute and Dennis Lamps FB Holden in the backround. 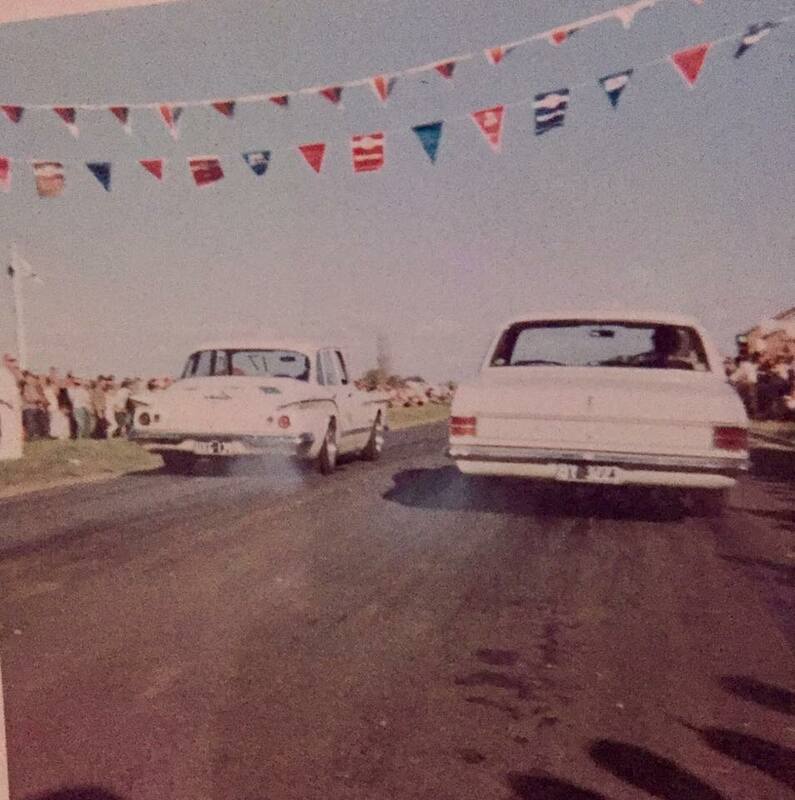 Dennis Lamp recalls: I had a FB Holden with a 186, 149 head, twins carb's, Waggott cam and exstractors. 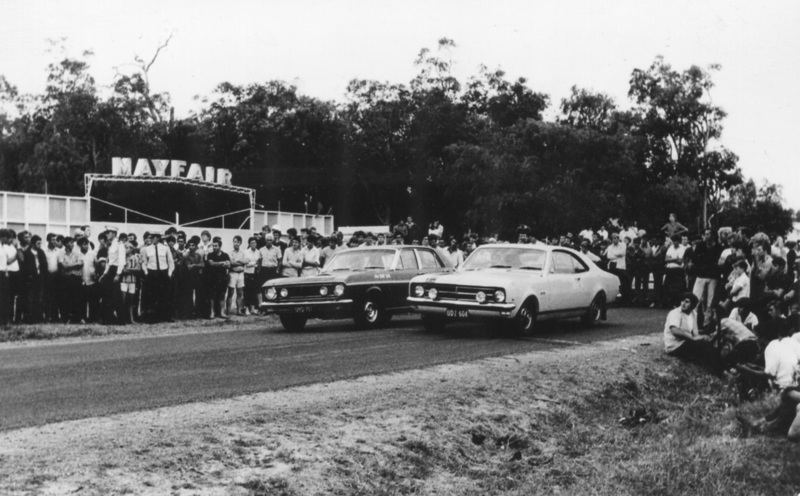 I competed at a few of those early drags, but the recall is not as good as it could be, I remember winning a new Pirelli tyre at one of the Blair Street events, that must have been special for a penny less apprentice. ﻿﻿﻿﻿Geoff Prosser put on a trophy presentation evening at the surf club and I think it was ﻿Geoff Pilgrim who turned it into a food fight when the deserts were put on the table. 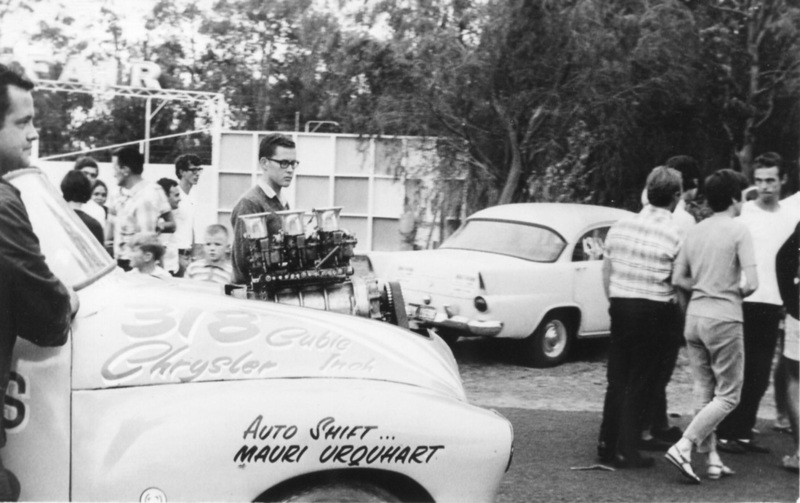 Dennis Lamp's FB Holden, pictured in the backround while Geoff Pilgrim is pictured at the door of his Chrysler powered blown FJ Holden ute. Photo: Mike Jenkins. 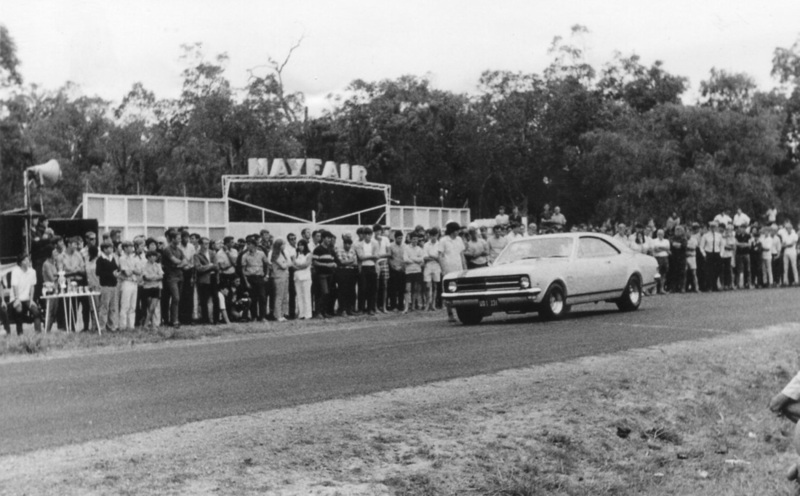 Bunbury hosted the Inaugural state Drag Racing Championship at there Vitoria Road street strip in front of the Mayfair Drive Inn. 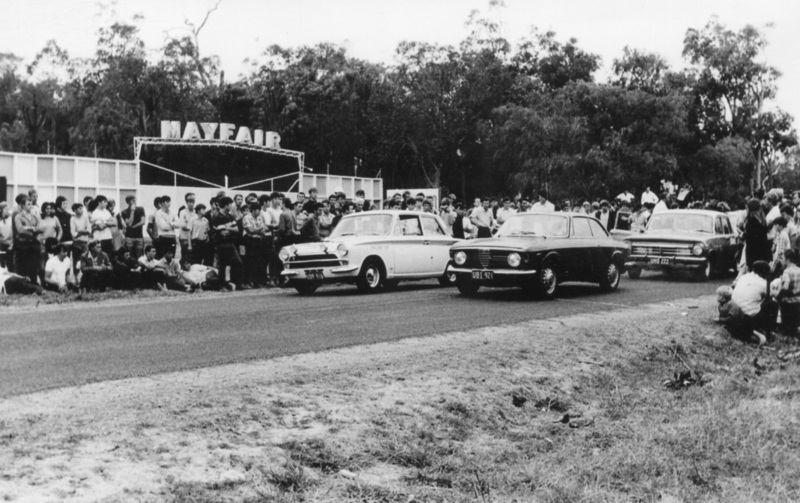 the drive inn was utilised as the pit area. 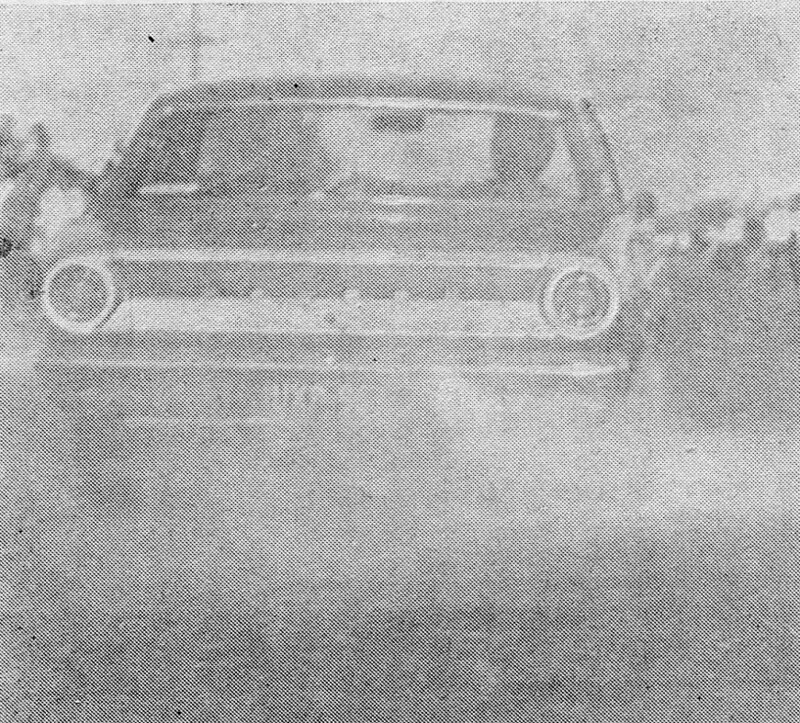 Joe Oliver: member of the 1320 Drag Club was the first man to start running a GT Falcon on the strip in WA. 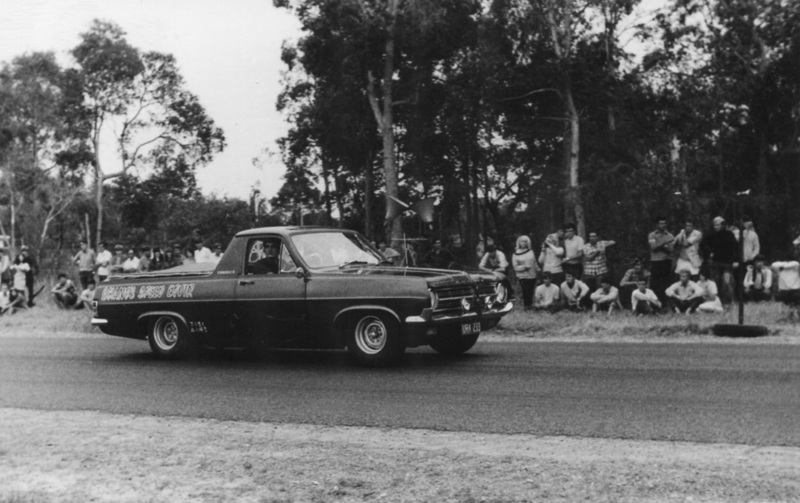 Joe returned from a trip to the Nationals at Calder to compete in the first round of the ﻿Bunbury series run by the South West Drag Racing Association, he won his class and ﻿also ran top eliminator. 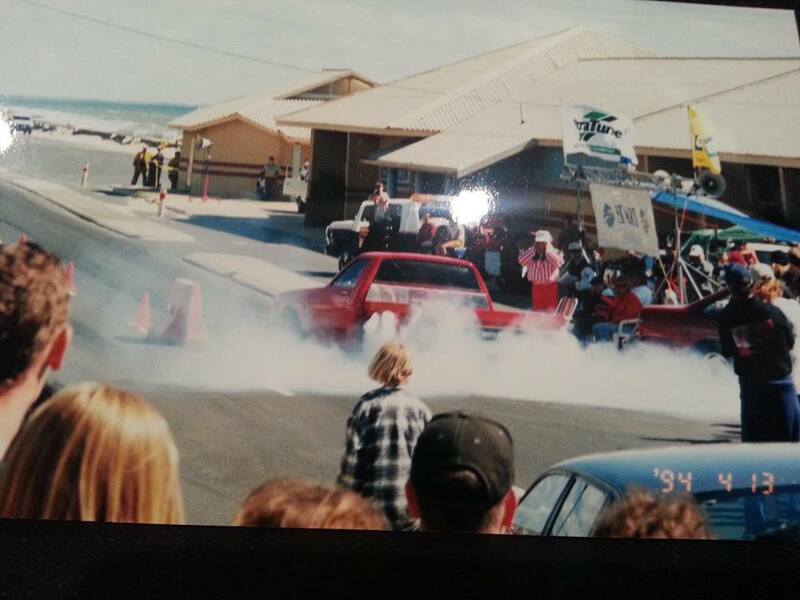 Drag racing once again returned to the streets of Bunbury on the 13th of April 1994 in the form of a 1/8th mile strip along the back beach, the start line was in front of the Surf Pavilion and the cars and bikes raced side by side in a southerly direction, the event was heavily backed by the Police, two local Police Officers played a big part in the organising of the whole event. The back beach roadways have changed so much since 1994, the start line area that was the main roadway is now a car park area for the surf club, at about mid track distance the car park ends and walkways now link the surf club to Hungry Hollow beach, The main beach roadway is now elevated and runs on top of the embankment that was packed with the spectators on the day.